With the advancement of flooring technology has brought a variety of innovative methods for filling in holes, cracks and chips in marble floors. 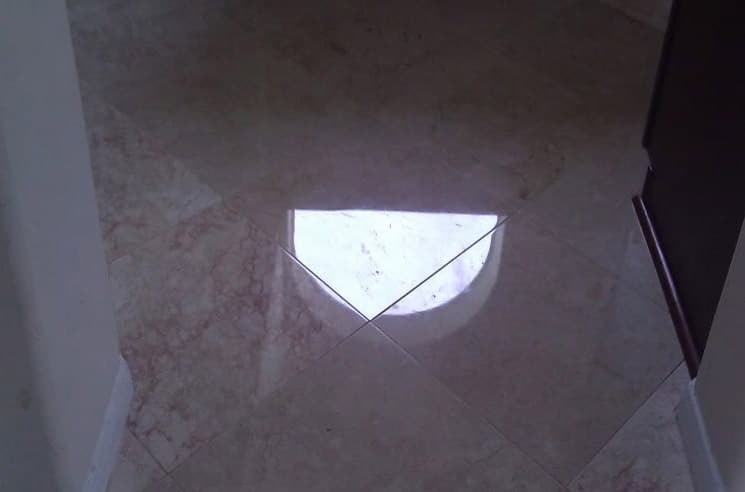 All sorts of marble tile or stone problems can be easily fixed with the variety of processes offered by Modern Stone Care, based on these methods. At Modern Stone Care we stay up to date with latest methods for floor restoration and invest the time and efforts into the latest flooring equipment. When one of our marble flooring technicians visit your location, we’re prepared for any hole filling or repair situation. Hole or chip repair is typically required when the marble floor in your home or office suffers from a chip at the corner of the worktop, with cracks from setting up a piece of furniture or heavy device, or damage can occur when a heavy object falls on the ground. Our technicians are skilled and knowledgeable about the uses resins with the latest flooring equipment that can fill in the chip or hole, along with repairing the surface to look as good as new. These holes and chips on marble floors can also occur during the course of time have normal wear and tear. This very common especially in areas that see heavy foot traffic, such as near the kitchen. Modern Stone Care is up to date on new techniques developed to resolve these issues, which makes this an easy job for us, this an important part of our business to keep track of these latest trends in hole filling and other methods for floor restoration. Our processes involve numerous steps to resolve problems related to holes and chips. One of them is to use polyester, epoxy or filler. Another method is increasing hues to the filler matching the style of the marble that needs repairing. We ensure the fillers are leveled properly with the surface of the floor. The area is smoothed and restored that no one will notice the worked-on area later. The most important part of the hole filling process is blending of the newly added filler to the original marble stone. The process will require a lot of care, and, being Houston industry leader that our specialists at Modern Stone Care is, no other flooring company can do this more effortlessly than us. No matter how great hole/chip repair issue is, Modern Stone Care can definitely help you. Our technicians are experience which means we’ll get this done in the shortest possible time, leaving no room for complaint. Call or email us and let us take care of resolving your hole filling issues. Once we’re informed of your requirements, we touch bases with you about the solution and quote for the services involved.